Gay Men To That!! : Congratulations Ellen Degeneres! 16 Years Out And Proud!! Congratulations Ellen Degeneres! 16 Years Out And Proud!! She has been a class act her entire career! Thank you, Ellen for being so brave and such an inspiration!! 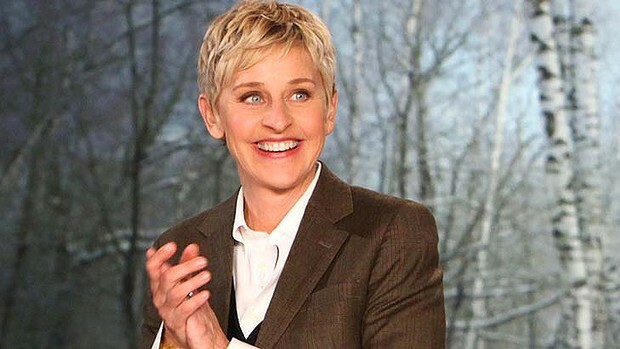 Few careers have seen the extreme highs and lows that Ellen DeGeneres' has. The talk-show host and comedian is veritably on top of the world right now -- and has been for several years. But that comes as a stark contrast to the sharp downturn her career saw in 1997 after she revealed that she is gay. This time 16 years ago, DeGeneres unveiled her big secret on what has now become a famous cover of TIME magazine, plastered with the words "Yep, I'm gay." The funny lady didn't work for three years following her admission, and it took a few more for her to officially redeem her A-list stature in the public eye, which came largely thanks to her hilarious turn in "Finding Nemo" and the debut of her eponymous talk show.